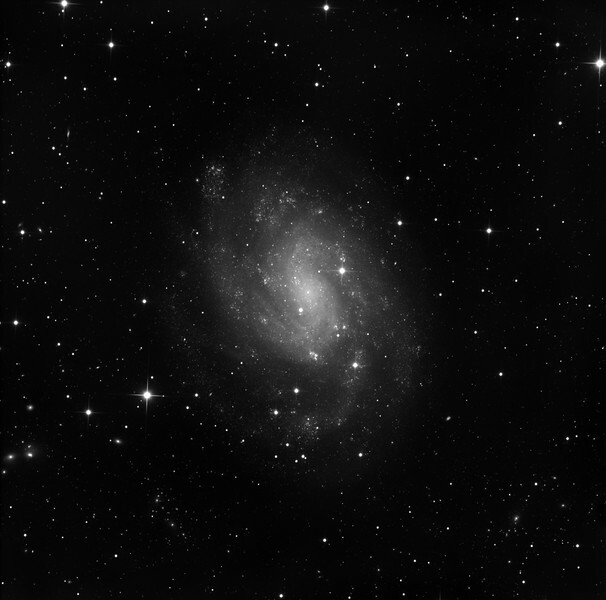 NGC 300 is a very large, very bright face on barred spiral in Sculptor. Easy to photograph fine sharp detail of myriad OB regions because of its closeness, but difficult overall because of the low surface brightness. The field shows squillions of tiny background galaxies. Lum: 10hrs in 1hr unbinned subs. Aspen CG16M on 20" PlaneWave CDK on MI-750. As usual, all observatory control and image processing done using our own software.